The wedding is one of the fun filled yet interesting events when bride and groom plan their day to be one of the best days in their lives. A new phase of life is worth investing money on good quality artefacts. However, along with a list of wedding designing, people tend to ignore the invitation cards which is rather the first impression to upcoming amazing days. Your invitation card is more than just a date, time and venue. It should link with the theme of the wedding day. So gear up your creative minds because this blog is going to flourish you with an amazing and innovative wedding invitation card ideas. The designing, font, color or even texture of the card, all would precisely structure how your wedding would be distinguished. For example, if you want your wedding to be fun- filled casual and summery type on beach then that should be dispatched in colorful art work to give the feel to the guests starting from the invitation. For an informal event choosing a typeface like Informal Roman, Lucida Calligraphy or easy yet casual Courier New would show creativity when pairing it with modern paper colors. Two different fonts in a card could also complement each other. Using a script for bride and groom’s names while a normal serif or sans-serif for rest of the text can highlight the host. If you have more like a formal wedding, traditional paper colors like white, ivory or soft cream with wording written in a font of Cambria, Georgia, Bookman Old Style or even Times New Roman would do wonders. A timeless options would set a distinguished yet restrained tone that will compliment your formal wedding day. Check if you have a lot of information, then decorative fonts could become less vivid in small font. If you are planning to throw a signature color or particular theme, designing invitation cards in same color or elements will be a plus in grabbing your guests’ attention. This theme would continue from invitation cards to materials or even program. 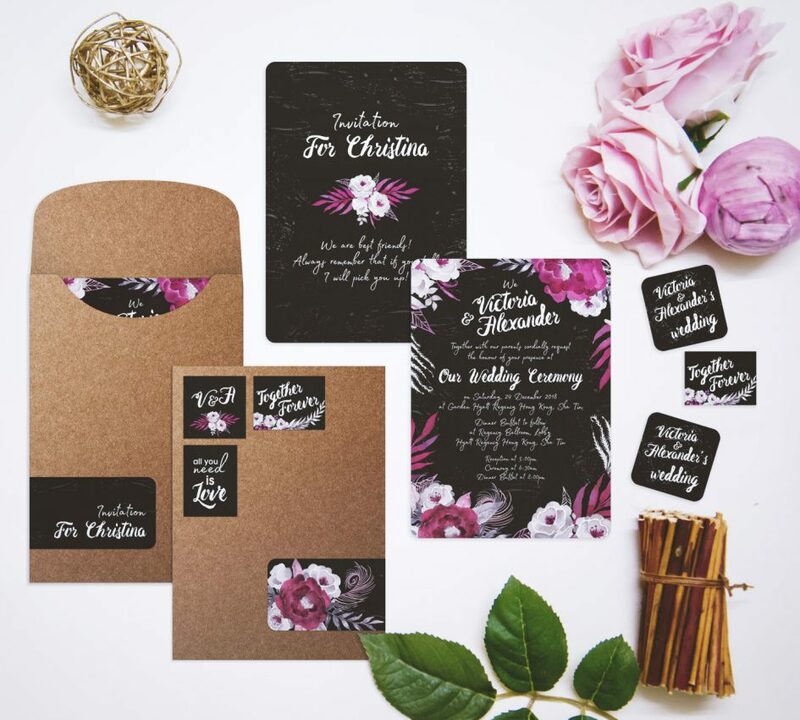 It is all by your willingness to choose any color for your big day invitation but look out for black bordered paper as it was used in the invitation for sending funeral announcements. You can also add the bride and groom’s picture to bestow more feel of the wedding to the guests. There are a number of trends and styles available to choose from. The most hottest trend these days include customized oil painted cards that would be mounted with an array of minimalist designs, bronze foils, gilded touch, rustic tags, and many more.